Sunday, I finished an excellent book by Adam Braun entitled The Promise of a Pencil. Other than a few places where he uses some less than best language, the book is excellent. He has several quotes through the book I want to highlight for you. They are not new – many are rooted in Scripture and you have read other versions of them in other places. 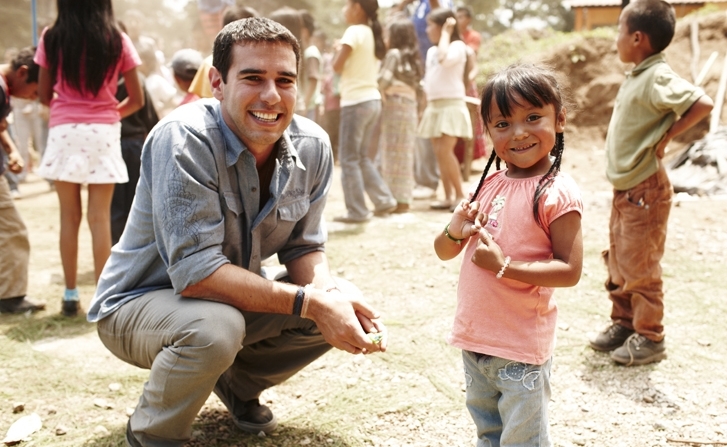 But they sound fresh from this young man who is changing the lives of so many. One of the things I enjoyed about this book is Adam Braun comes across as a learner. He is constantly talking about how he benefitted from the advice of others. He was candid about his mistakes. Equally impressive is that he is a young man making a huge difference not only because of his passion and hard work, but also because he seeks and listens to good advice. Something some of us older folks have yet to learn. His story is compelling and the book is worth a read. mission true or mission drift? Good morning! Still hoping it will one day actually be Spring here in the Midwest, but we have snow in the forecast for Tuesday!! Read the following mission statement and then tell me who you think it applies to. “To be plainly instructed and consider well that the main end of our life and studies is to know God and Jesus Christ.” Who did you guess? Would you believe that it is the founding mission of Harvard University? It’s original motto was Veritas Christo et Ecclesiae, meaning “Truth for Christ and the Church.” Now it is simply Veritas. Eighty years later Yale was founded to counter the drift seen at Harvard – we have seen how that has worked out over the years! The Pew Charitable Trusts were founded by a devout Christian, Howard Pew, and he helped Billy Graham launch Christianity Today. Howard Pew created the Gordon-Conwell Theological Seminary. Today, the Pew Charitable Trusts fund Planned Parenthood and some Ivy League schools, but no longer do they support the seminary founded by Howard Pew. An astonishing example of Mission Drift. However, there are ways to counter our natural tendency towards mission drift (as the authors note, since organizations are made up of by individuals, then this has to be addressed at the individual level). The authors talk about what it means to be a Mission True organization. 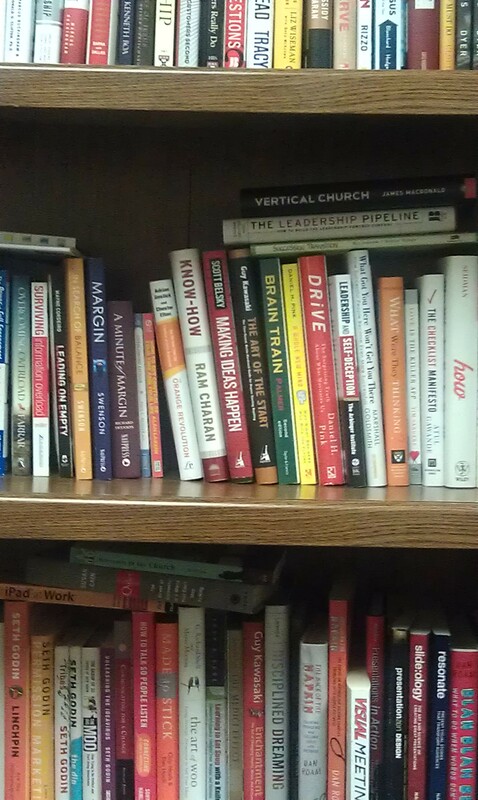 Mission True – the authors of Mission Drift give us several examples of what characterizes Mission True organizations. 2. They affirm that faith sustains them. 3. They Understand that functional atheism is the path of least resistance. 2. Acknowledge that the pressure to drift is constant. 3. Realize there’s a point of no return. 4. Make hard directions to correct drift. Please do realize that change does not equal drift. In fact, being Mission True necessitates that you change to continue to meet your mission. 1. Recruit carefully and prayerfully. 2. Hold the CEO responsible for the mission. 3. Follow standard board practices (Note: check out Boards That Lead). 4. Create policies and safeguards. 1. Hire slow and fire fast. 2. Clearly define your approach to hiring based on faith. 3. Be consistent with your hiring policy. 4. Inculcate staff in your values and history. 3. Exemplars should be celebrated. 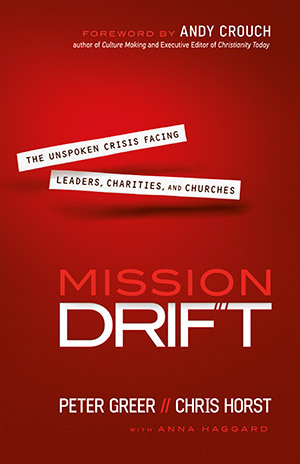 Mission Drift is real and a threat to all organizations founded with a purpose. And there are ways to prevent and correct that drift. As a leader you must be always aware of the danger and vigilant in quickly detecting and correcting mission drift when it begins to occur. Also, do not confuse changes of methodology with change in mission. Very often, change in methodology is exactly what is needed to prevent mission drift. This is a key leadership task – what are you doing to prevent mission drift in your organization? Good Monday morning! I have been in Mississippi last week speaking at the Mississippi Community College Leadership Academy. Each year a group of next generation leaders for the state community colleges are run through a full year of the MCCLA to prepare them for future senior leadership roles in the community colleges. A pretty good idea in my estimation. What is the One Thing that you need to focus on for the greatest impact in your life? 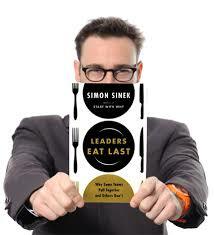 I have found the book The ONE Thing to be an excellent tool to help me focus. Watch the video and check out the book and let me know what you think. Good Monday morning to you! Hope you had a refreshing weekend. Ours was beautiful, but a tad messy as we received about four inches of snow. What are the responsibilities of a leader? In my opinion, a key responsibility is seeking the better way. In my experience it has been called continuous improvement, innovation, and so on. But the CEO of the company where I work is always talking about seeking the better way – in all areas of your life, not just your work. It is a much more holistic approach to life. So, I much prefer seeking the better way than continuous improvement. As a leader – are you consistently seeking the better way? Do you encourage and model seeking the better way to those that you lead? Have a great week and continue to center your heart on the beautiful and wonderful mystery of the birth of Jesus and all that it means. *James M. Kouzes;Barry Z. Posner. 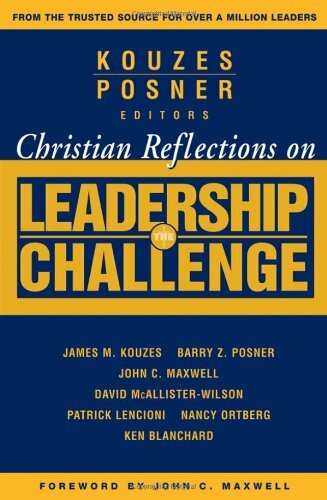 Christian Reflections on The Leadership Challenge (Kindle Locations 299-302). Kindle Edition.